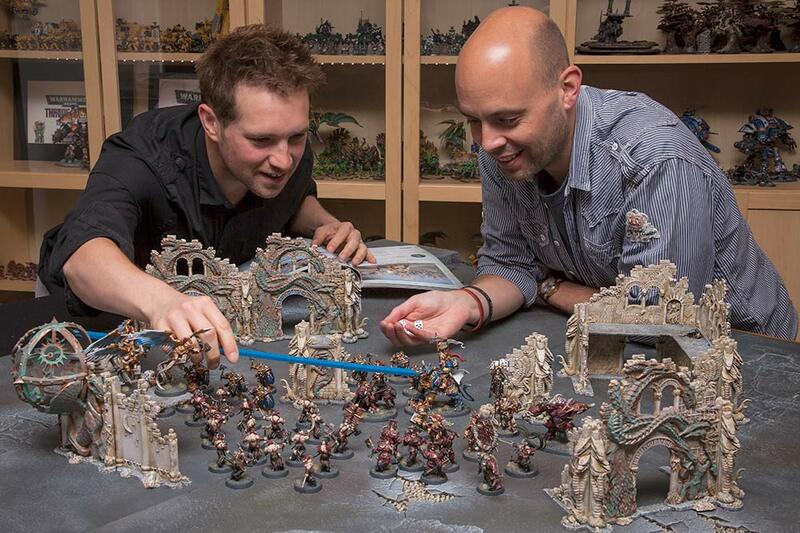 This apparently isn't an issue over in the U.K., but over here in the U.S.A. there are many communities and tournaments that don't utilize the Mysterious Terrain chart found in the core rules of AoS. This was a bit of a surprise to me when I first found out, since my local group has always used them. For those who are unaware, this is the chart that you roll on for each piece of terrain on the table to see what rules apply to it, such as Damned or Mystical. It may seem like this would just be another element of the game that would be hard to keep track of once dice are rolling, or to others it may seem like something more suited to Narrative or Open Play instead of the more competitive Matched Play. I love using Mysterious Terrain though, and when given the option I will utilize it in every game I play, even at tournaments. 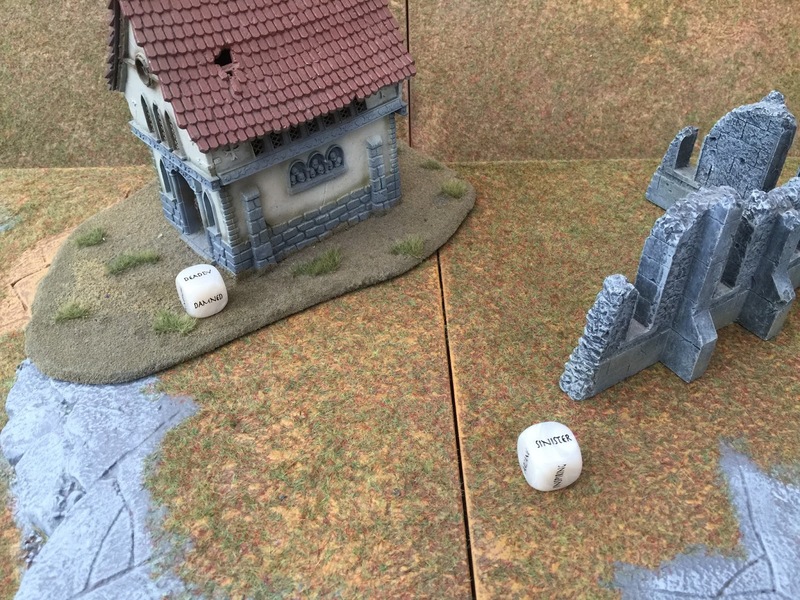 So, what makes Mysterious Terrain so good, and why should you be using it in your game? This reason may seem a little on the nose, but the Age of Sigmar ruleset was written with the intention of these rules being used in every game. While the game still works without it, you are definitely losing something by leaving it out. 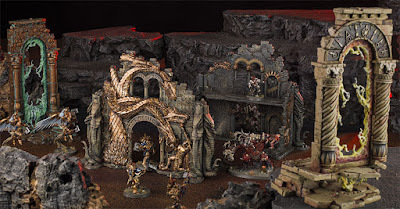 All of the rules in AoS, from the core rules, to the warscrolls, to the more thematic Time of War rules were written assuming you would be using Mysterious Terrain, so by opting out of it you are missing out on an important part of the game. The rules from Mysterious Terrain have a rather significant impact on how games of Age of Sigmar are played. When you go to deploy your army and there is a piece of Mystical terrain right in the middle of your deployment zone, you'll suddenly find yourself leaving a 3" pocket around it, lest you test fate with the dice roll to see whether your units our befuddled or not. Do you want to take the damage from a piece of Damned terrain to get the +1 to hit? When a piece of terrain is Dangerous you'll suddenly find both players carefully avoiding it. Besides the bonuses or detriments to your units, they also create areas on the table where models are suddenly funneled as they try to avoid crossing the Dangerous woods. The extra level of tactical decisions this layers on top of your game is invaluable. When you compare a game played with the Mysterious Terrain rules and one without them, there really isn't any comparison. This is why it's vital to the tournament scene too, especially if you want to start comparing results across different tournaments. Would the person who won one tournament without Mysterious Terrain win another that includes it? One of the bigger hurdles some people have when approaching the use of Mysterious Terrain is the extra level of record keeping it presents you. I'll admit, in my first few games of AoS I found it a little difficult to remember what was what and what it did. Once I had some games under my belt though it became fairly easy. Once you've been using it for awhile you'll start remembering what each piece of Mysterious Terrain does without much effort. For keeping track of what each piece of scenery is, there are several solutions out there. The simplest one would just be to write whatever you rolled for the scenery piece down on a small piece of paper and place it nearby. 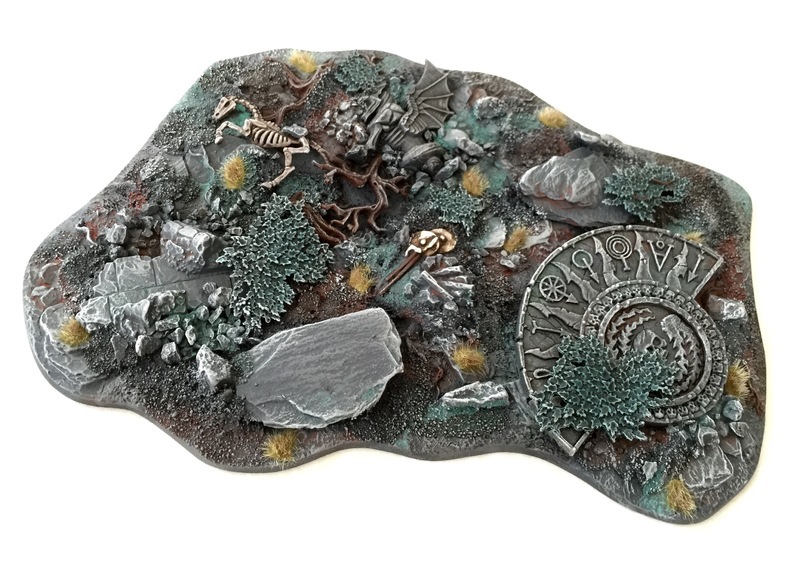 For those who want a little more pizzaz there are plenty of companies out there that make tokens you can use to mark what each one is, including the Scenery Dice from Ben Curry which you can just roll and leave near the scenery. The Warscroll Card packs from Games Workshop have some tokens included in them as well for Mysterious Terrain. Lastly, the most important reason, they're just plain fun to use! 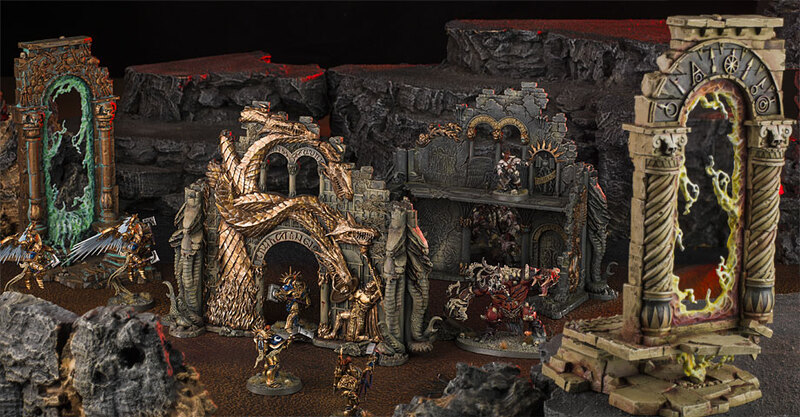 There's nothing like using Damned terrain on your Spirit Hosts and suddenly causing mortal wounds on a 5+, or seeing a heroic Dracoth charge fumbled by a piece of Dangerous terrain. They add more of those "story moments" to your games, the moments you'll remember a year later when talking with your friends. The tactical challenge they add in, as mentioned above, is fantastic as well. I love having to be more careful with my deployment, table side selection, moves, and charges. The Mysterious Terrain rules just provide a more engrossing, challenging, and engaging game of Age of Sigmar than ones without them. 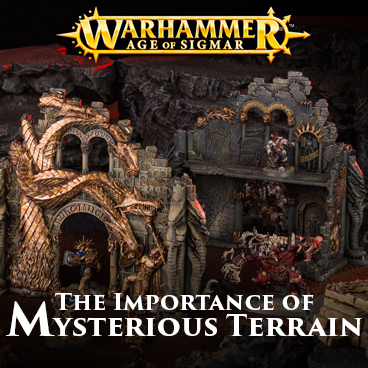 So, what are your thoughts on Mysterious Terrain? Does your local scene utilize them in games of Age of Sigmar? Would you like to see them more widely used? Let me know in the comments below!